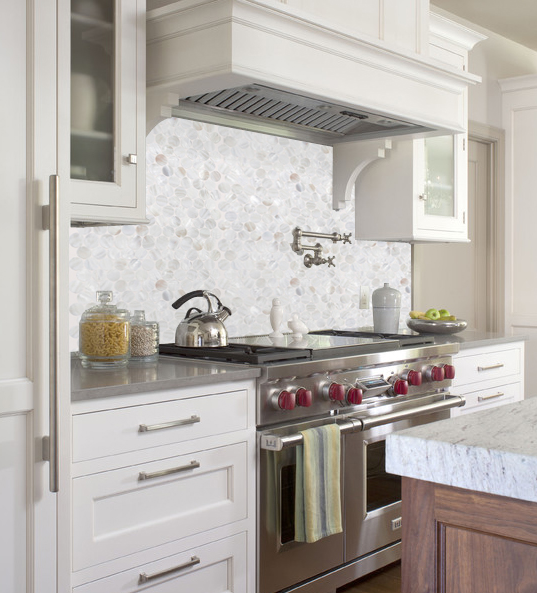 Before selecting your kitchen backsplash tile, the first thing needed to consider is the overall look of your kitchen. In that way, you can prevent yourself from making a design mistake and also avoid yourself feeling overwhelmed by hundreds of tile options that are available at home improvement online or physical stores. Kitchen backsplash mosaic tiles come in a wide range of styles, like glass, stone and glass, metal and glass, pearl seashell, porcelain and many other materials. What tile you choose will depend on what design your kitchen is, but definitely there are materials which will work best with some kitchen styles. 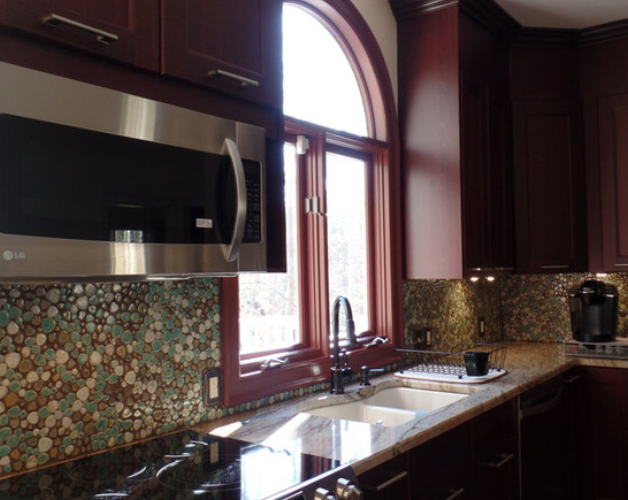 Glass backsplash tiles are good options for kitchen remodeling. They are pretty popular for people who spend many time in the kitchen and prefer a kitchen backsplash that is easy to clean and maintain. 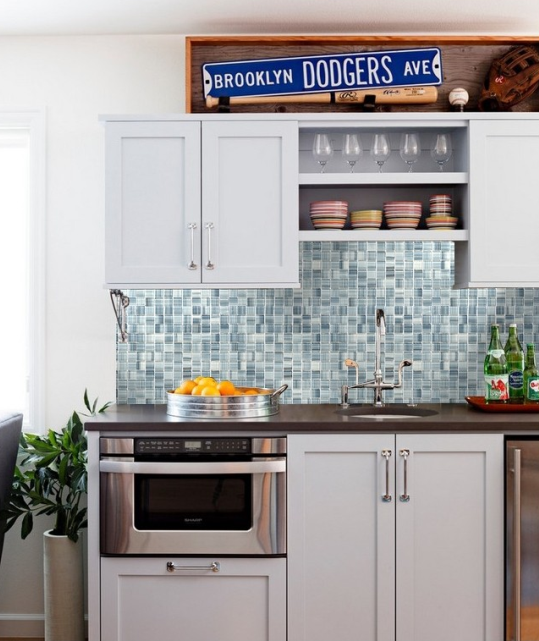 Glass backsplash tiles might be the perfect clean-and-go option, which are perfect for resisting spills and stains and need just a little time to maintain. 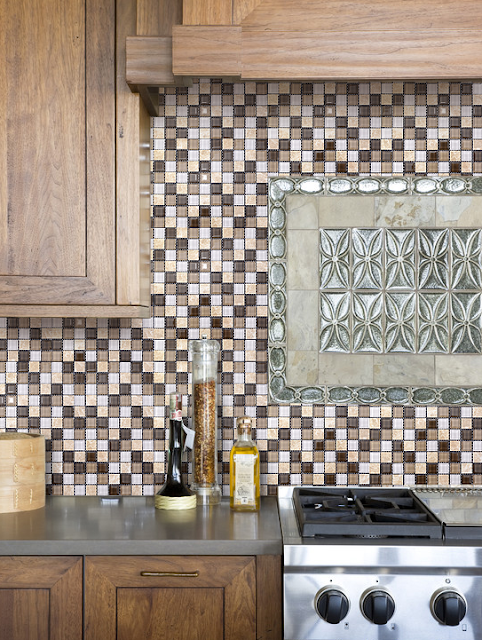 Glass mosaic tiles have a wide range of colors, from muted tones to bold. If you want an elegant focal point in your kitchen, simple flat glass backsplash tiles could be your options. If your kitchen style is contemporary, your choices could range from plain crystal glass to bold colorful glass mosaic tiles. No matter what styles you choose, glass backsplash tiles can turn out amazing and captivating in your kitchen. In addition to glass backsplash tile, there are many other choices for your remodeling, such as mother of pearl shell tile, porcelain pebble tile, stone glass tile and metal glass backsplash tile,ect. Discover kitchen backsplash tile ideas on BuilderElements.com now!